This article provides in depth fundamental analysis of KNR Constructions Ltd, an Indian infrastructure player focused on EPC (engineering, procurement and construction) activities in the road and irrigation sector. I was going through screener using some criteria and came across this company KNR Constructions Ltd engaged in EPC construction of highways and recently getting involved with irrigation projects. 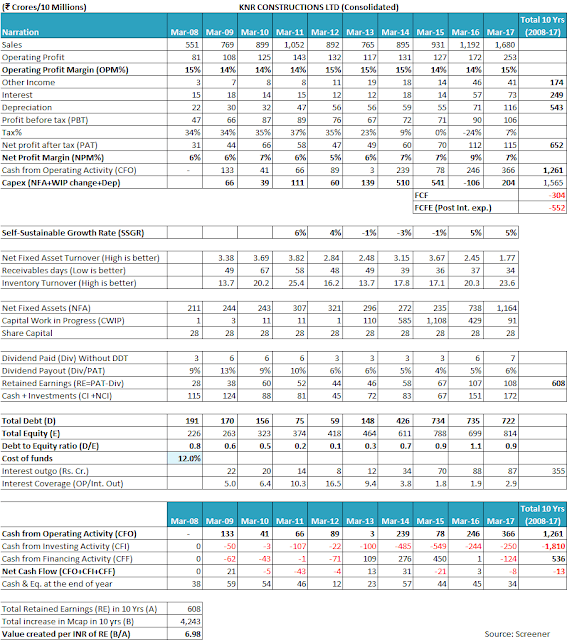 Good CAGR, PAT, OPM and PAT. Consistent Margins. KNR Constructions Ltd is a dominant player in south India in the construction of highways. It gets a rebate on taxation to consider profit as non-taxable under section 80IA. 80-IA. 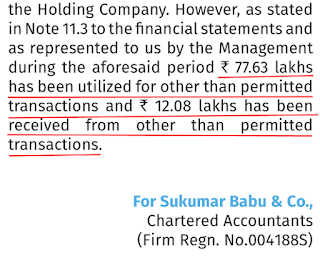 (1) Where the gross total income of an assessee includes any profits and gains derived by an undertaking or an enterprise from any business referred to in sub-section (4) (such business being hereinafter referred to as the eligible business), there shall, in accordance with and subject to the provisions of this section, be allowed, in computing the total income of the assessee, a deduction of an amount equal to hundred percent of the profits and gains derived from such business for ten consecutive assessment years. It has backward integration enabled with quarries in South India and thus enjoys sustainable margins of nearly 14-15%. The current order book stands at ₹33 bn ~ 1.9x TTM sales value. It is expecting order inflow of ₹25-30 bn in 2018. Regular BOT revenue of around ₹2.76 mn daily from two toll projects. 36% SSGR gives a cushion of safety. The stock is held by many marquee mutual funds and this is what I am surprised at when I tried to analyze the quality of management. Here I might be completely wrong and thus need your expert comments on my understanding of management. Regular equity dilution in huge chunks – in just 3 years they have diluted almost 17% of equity. 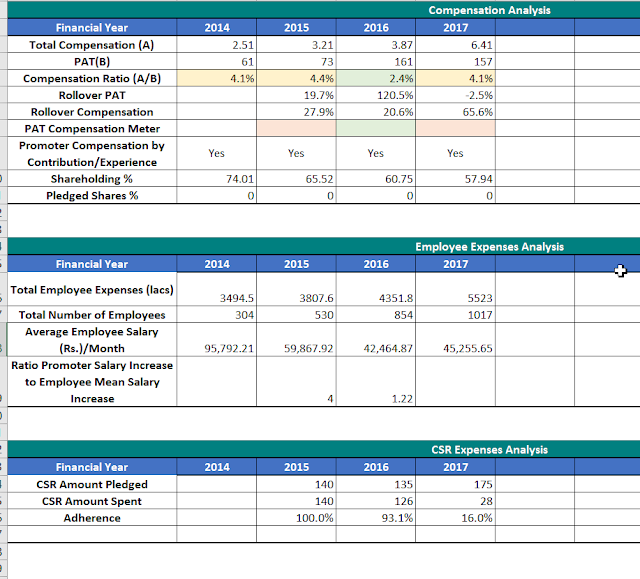 However, the compensation ratios appear to be decent with decent avg. employee salaries. What is the need for such aggressive dilution? Why not just raise the debt and repay it as growth is there. In addition, the CSR adherence is not appropriate with no logical explanation of unspent amount. …takes an unsecured loan of ₹80 Cr. from the company and pays 3.54 Cr. as interest @ 4% while bank charges individual loan rates of nearly upside of 12-13%. 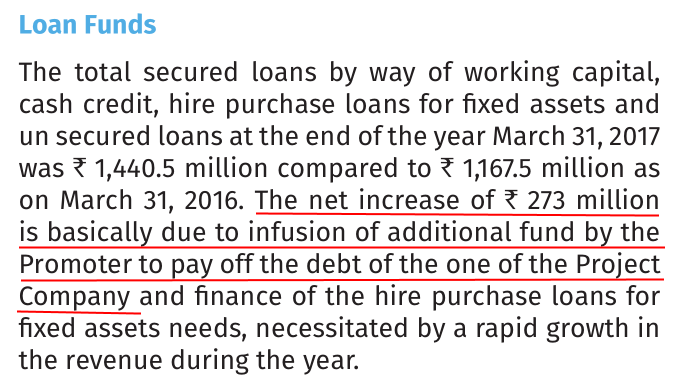 What is this loan for? What interest this serves the company. Then for another promoter, there are charges like land leasing, locker charges which seem to be unexplained. Why will you lease a land if you are already staying in a guesthouse at company’s expense? What benefit this land lease bring to the company. Then there are other transactions leading to huge receivables from related parties, which seem not to be explained and then there are inter-corporate loans to subsidiaries without any interest shown. Thanks for sharing the analysis of KNR Constructions Ltd with us! We appreciate the time & effort put in by you in the analysis. The EPC contractor’s business is nothing but an accumulation of all its projects under execution. Unless each of these projects is assessed individually, the complete business position of the EPC player cannot be understood. From the publically available information, we find it difficult to assess whether these projects have key factors like land acquisition, govt. approvals etc. in place. We have always been skeptical about the cost estimates shared in the publically available information whether these are the real ones or there have been escalations, which companies usually hide from stakeholders. 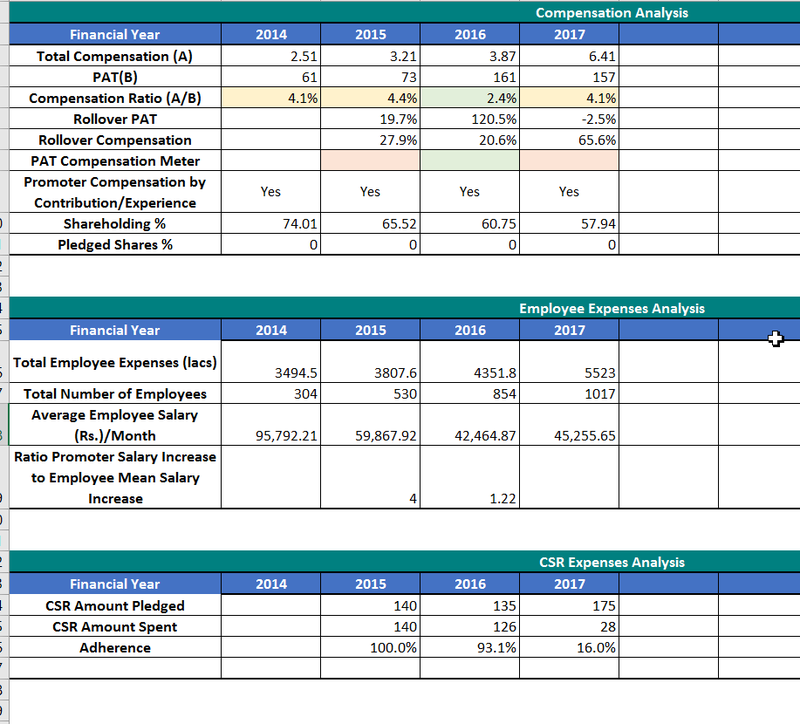 The revenue of the EPC players is derived from the cost incurred by them as these companies use a percentage of completion method (POCM) for revenue recognition. The revenue declaration has no linkage to the actual cash that an EPC player might or might not receive. Many times, using the percentage of completion method (POCM), EPC companies show even that part of the project work in revenue whose bills are not sent to the customers, which gives rise to “Unbilled Revenue” in the balance sheet. Many times, there are disputes between the stage of project claimed by the EPC player and the Govt Departments/project allottees who have to release the payments etc. It cannot be assessed from the publically available information how the situations are on this front. The EPC players usually have many subsidiaries and the assimilation of subsidiary financials into main company leads to many areas of accounting manipulations, which always raise an alarm in business assessment. We would analyse the financial performance of KNR Constructions Ltd while keeping these aspects in mind. Moreover, as mentioned above, the EPC players usually create many subsidiaries/joint ventures to bid for projects and execute them. Therefore, it is advised to focus on consolidated financials of EPC players so that an investor may assess the financial position of the complete group in her analysis. In light of these points, let us now assess the performance of KNR Constructions Ltd over last 10 years (FY2008-17). Looking at the financial data of KNR Constructions Ltd for past 10 years (FY2008-17), an investor would notice that the company has grown its sales at a moderate pace of 10-12% year on year from ₹551 cr in FY2008 to ₹1,680 cr in FY2017 with a stable operating profitability (OPM) of 14-15% year on year. As mentioned above, in POCM, EPC players recognize revenue based on their assessment of cost incurred in the project as a proportion of the total estimated cost of the project. Many times, the EPC players end up showing that part of the project work as revenue, which is yet to be billed to the customer/accepted by the customer as completed, which gives rise to “Unbilled Revenue”. An investor would appreciate that in such instances, many times, later on, the customer may dispute the bill raised by the EPC player citing that it does not agree that the construction stage as per the agreed contract has been achieved. On the other hand, the customer may dispute the quality of the work and in turn, show its dissent on the bill raised by the EPC player. An investor would note that the item “Due to customers” is different from “Advance received from clients”. The advance received from clients may represent the money provided by the clients to kick-start the work of any project by mobilizing the construction machinery/acquire land on behalf of the customer etc. Therefore, it is advised that investors may seek clarifications from the company about the reasons for the significant amount of dues to the customers. Recognition of revenue at a stage where the customer has still not approved it (unbilled revenue). The constant scope of disagreement in the total amount of estimated cost of the project, the amount of cost actually incurred on the project as well as the percentage of the stage completed. Moreover, the person auditing/certifying the financials being chartered accountants, who are not experts in the matters related to civil engineering works, also brings in chances of errors in the cost/percentage stage assessment. Therefore, an investor would appreciate that the amount of the revenue disclosed by the company in any year predominantly highlights the company’s assessment of its project execution instead of its ability to bill and collect money from its customers. Therefore, it is advised that investors should always be cautious while assessing the revenues reported by the infrastructure/EPC players and should seek clarifications from the companies as and when needed. Moreover, an investor would need to keep a few things in mind while assessing the expenses of the company as well. These projects are usually the BOT (Build, Operate and Transfer) or HAM (Hybrid Annuity Mode) projects. After the completion of the projects, which are capitalized under “intangible assets under development”, the projects are shifted to “other intangible assets”. 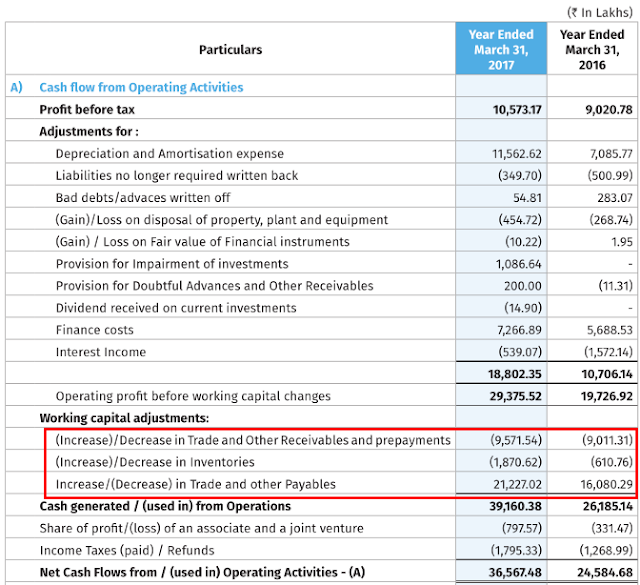 This shift is visible in the non-current assets section shown above for KNR Constructions Ltd, where the other intangible assets are increasing year on year. An investor would observe that the other intangible assets and intangible assets under development are shown differently from the normal capital expenditure under “Property, plant and equipment” and “Capital work-in-progress”. The normal capital expenditure under “Property, plant and equipment” and “Capital work-in-progress” may represent the spending done by the company on construction machinery, trucks, dumpers, crushing plants, mixing plants etc. 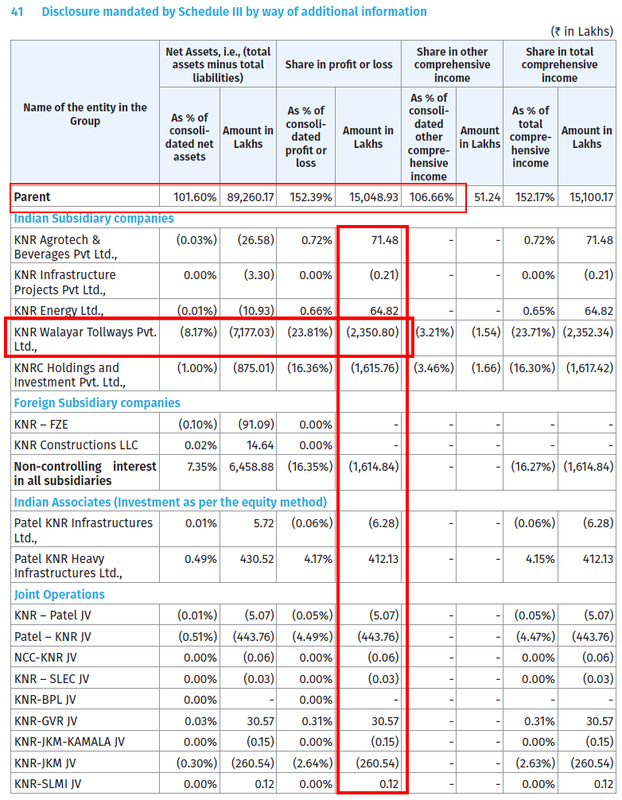 Looking at the significant amount of assets accumulated under “Other Intangible Assets” and “Intangible assets under development” (about ₹1,000 cr at March 31, 2017), an investor would appreciate that to assess the real economic value generated by the company to its shareholders, an investor needs to take into account the returns on these assets. An investor would appreciate that a normal look at the P&L statement would not be sufficient to assess the true outcome of such financial decisions. Additionally, an investor would appreciate that a company will show only those projects in its balance sheet, which are either owned by it or are owned by its subsidiaries in which it has more than 50% stake. For the joint ventures, where the company has less than 50% stake, it would not show those projects in its balance sheet under “Other Intangible Assets” or “Intangible assets under development”. In such cases, the company will show the amount invested by it under the non-current investments and the economic benefit from such projects will be shown as dividends/interest received in the P&L. An investor would appreciate that without looking at the detailed project dynamics of such investments, only information of dividend/interest received may not be sufficient to assess the true profitability of these projects. An investor would notice that the projects on whose sale price, the company has to take a loss were operational annuity projects. Therefore, the reported financial numbers in the profit & loss statement of an infrastructure/EPC player may not communicate its true financial position/money making ability for its shareholders. An investor would appreciate that the operating profit margin (OPM) shown by the company in the P&L may represent only the nature of those projects, which are being factored in the P&L for the year by way of incremental costs being incurred on those projects during the year. 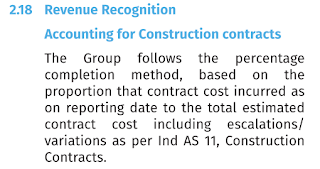 An investor should keep in the mind that this assumes that the auditor despite being a chartered accountant and not a civil engineering expert, has correctly estimated the cost/project estimates provided by the company. In light of the fact that the EPC contracts do not fully cover escalations in the key raw materials of cement and steel, it comes as a positive surprise to the investors that the company has been able to generate a stable OPM of 14-15% over entire last decade (FY2008-17). 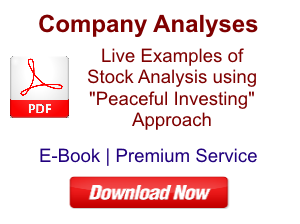 It is advised that investors may seek clarifications from the company to understand in detail about the parameters that influence their profit margins and the steps taken by the company in the past, which could lead to sustained profitability over last 10 years when the cement and steel prices had witnessed significant fluctuations. The assessment of the true profitability of the company would require estimation of the profits generated by the company on the projects, which are capitalized on the balance sheet under “Other Intangible Assets” as well. An investor would notice that the company has spent about ₹900 cr on this project as total cost. In 9M-FY2018, the project has generated a toll income of about ₹38 cr, which can be extrapolated to about ₹50 cr per annum (37.87*12/9 = 50.36). An investor would appreciate that a toll income of ₹50 cr on a project cost of ₹900 cr provides a yield of about 5.55%. 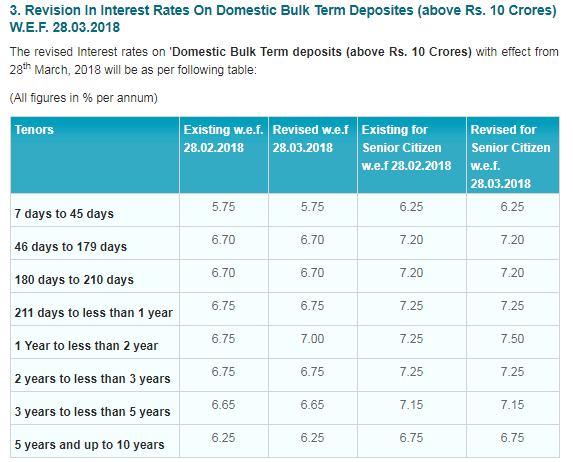 This yield is very low on an investment as ₹900 cr invested in any bank fixed deposit may provide a higher return/yield. Additionally, the company needs to spend further money to operate the toll road in terms of employee salaries, regular maintenance of the road, the lighting of the road etc., which needs to be spent from the toll revenue. Therefore, the net profit from the project will provide even a lesser yield than 5.55% on the total project cost. 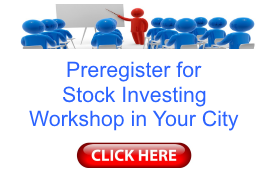 Further advised reading: When a company should sell all assets and invest money in FDs? 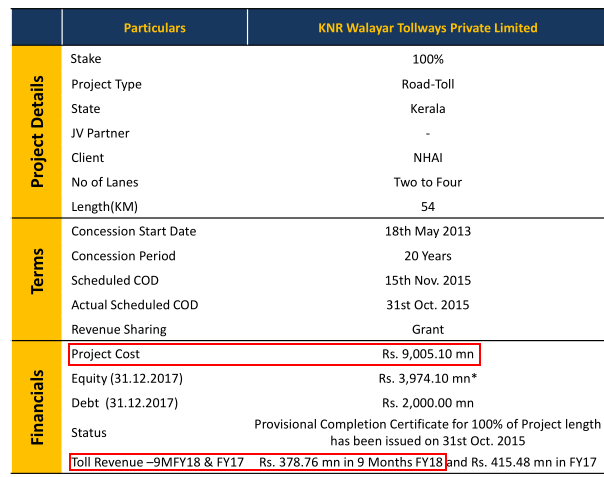 In light of the lower toll yield on the project cost for Walayar –Vadakkancherry project coupled with other expenses and debt-servicing requirements, the project does not seem to be able to sustain on its own. 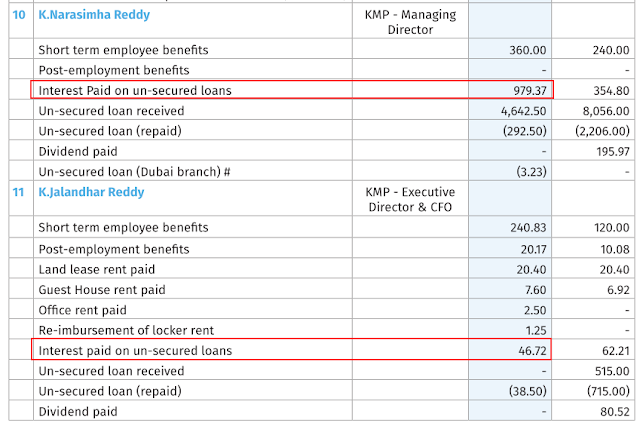 As a result, the parent company KNR Constructions Ltd has to put in additional capital in KWTPL to make it sustainable. As per the FY2017 annual report, page 91, during FY2017, a year that was a period of the full year of toll operations, KNR Constructions Ltd had to infuse an amount of ₹130 cr (396.51 – 266.51 = 130.00) in KWTPL to help it meet its expenses and debt servicing requirements. 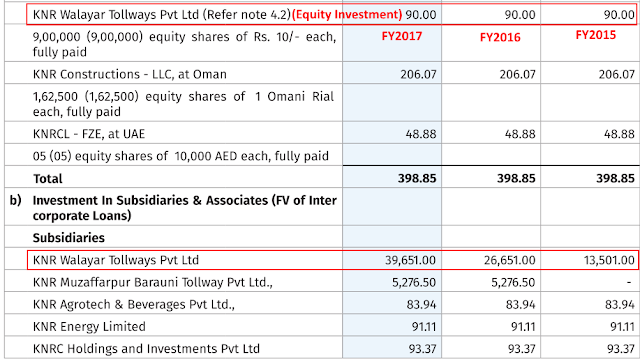 The requirement of infusion of funds by the parent company indicates that the project is not profitable and until now has not been able to add economic value to the shareholders of KNR Constructions Ltd. Instead, it is draining the resources of the parent company. Moreover, an investor would notice that for FY2017, the profit shown by the parent is 152.39% of the total consolidated profit. This indicates that all the other subsidiaries and JVs have contributed to a loss of 52.39% to the overall consolidated financials of KNR Constructions Ltd. The company running the Walayar –Vadakkancherry project, KNR Walayar Tollways Private Ltd (KWTPL) has reported a net loss of ₹23.5 cr for FY2017. An investor may also note that in case of KNR Walayar Tollways Private Ltd (KWTPL), the subsidiary had reported a loss of ₹23.5 cr for the full year of operations in FY2017 whereas as discussed above, the parent company KNR Constructions Ltd had to infuse ₹130 cr in FY2017 to sustain it. Therefore, we believe that the assessment of the profitability of any infrastructure/EPC player only based on the profitability shown in the P&L might not represent the true picture of the company. In the details of the subsidiaries/JVs shown above, an investor would notice that many of the JVs of the company are currently not making profits. As a result, the company may need to infuse additional funds in such subsidiaries/JVs. 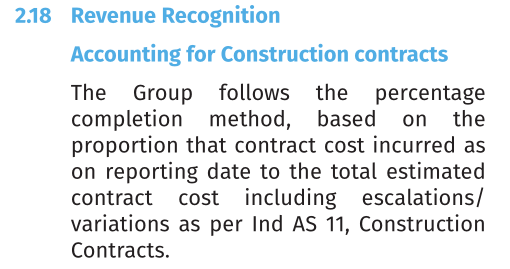 KNR Constructions Ltd has been communicating that in case of JVs it is only liable to fund only its proportionate share of expenses/cash flow shortfalls etc. This position may seem right from a logical argument perspective. However, we believe that in such cases, it becomes important that investors take note of the financial health of the JV partner as well. Let the JV project be stuck and become the JV a defaulter/NPA with lenders. In such an outcome, the parent company (KNR Constructions Ltd) will also face the consequences of restricted lending from its lenders, as banks would be extremely cautious while lending to the entire KNR group in future. In such a situation, the loss of economic value to the parent company is most likely to exceed its original investment in the JV project. The second option would be to infuse funds in the JV project over and above its proportionate share to meet the cash flow shortfall so that the JV project may survive and keeps on paying its lenders. In cases of joint ventures, most of the times, the JV partner who can afford to put in additional money in the JV ends up infusing a share higher than its proportionate stake to avoid the ramifications, which otherwise would hit the parent company as well. Therefore, it looks like that once a JV project has started and has raised debt from the lenders, then a company cannot simply conclude that its responsibility is only to the extent of its stake in the JV. A financially weak JV partner is bound to put pressure on the parent company and in turn, reduce the economic value that it may derive from the JV project. Therefore, the consolidated financials of the infrastructure/EPC player who has many JV projects and includes only the liabilities to the extent of its proportionate share might not reflect the true profitability/economic value that the shareholders of the parent company may derive from the company. Therefore, in the light of above argument, we believe that the investors should be cautious while assessing parameters like OPM shown in the P&L by infrastructure/EPC players as a representative of the true economic value added by the company to its shareholders in any year. KNR Constructions Ltd has been availing tax benefits under the section 80IA of the income tax act, which provides 100% deduction on profits for companies, which carry business of road/highway project etc. for a period of 10 years. (Ref: caclubindia.com). Therefore, investors would notice that the tax payout of the company is significantly lower than the standard corporate tax rate applicable to Indian companies. The fixed assets of the company include the assets like construction machinery, crushing and mixing plants that are used to construct the road projects as well as the BOT/HAM projects, which the company plans to keep on its books and operate during the concession period. An investor would note that the recent reduction in the net fixed asset turnover (NFAT) during the recent years from 3.67 in FY2015 to 1.77 in FY2017 is because of completion of the BOT projects Muzaffarpur Barauni Tollway and Walayar Tollways where the significant investment in the Walayar Tollways is not resulting in significant returns. The parameter of inventory turnover does not seem highly relevant for a player like KNR Constructions Ltd who apart from putting the inventory under the current assets also has such material classified under “intangible assets under development” under non-current assets. Therefore, it becomes challenging to ascertain the true efficiency of the inventory utilization of any EPC player. The receivables days is a relevant parameter for an EPC player as it represents the ease with which it is able to bill and collect the money from its customers. Moreover, the release of funds by the customers also indicates that the customer agrees with the amount and quality of work performed by the EPC player. Therefore, a delay in collection of receivables from the customers indicates that either the customers are under financial stress and may default in making the payments or that the customers do not agree with the bills raised by the EPC player. Such disagreement may be related to achievement of payment milestones in the project progress or the quality of the work done by the EPC player. In case of KNR Constructions Ltd, an investor notices that the receivables days have declined from 67 days in FY2009 to 34 days in FY2017, which is a good improvement. Keeping the receivables under control while growing the size of the EPC business is a good sign for a company that has to primarily deal with govt departments for releasing payments. It indicates that the company has been doing its job in a satisfactory manner, which is also visible from the claims made by the company that it has completed most of its projects before time. Upon reading the SSGR article, an investor would appreciate that if a company is growing at a rate equal to or less than the SSGR and it is able to convert its profits into cash flow from operations, then it would be able to fund its growth from its internal resources without the need of external sources of funds. Conversely, if any company was attempting to grow its sales at a rate higher than its SSGR, then its internal resources would not be sufficient to fund its growth aspirations. As a result, the company would have to rely on additional sources of funds like debt or equity dilution to meet the cash requirements to generate its target growth. An investor would notice that over the years, KNR Constructions Ltd has witnessed an SSGR of -3% to +5% whereas the company has been growing at a rate of 10-12% over the years. As a result, it seems that the company is attempting to grow at a pace, which is higher than what the internal business cash generation is able to sustain. As a result, the company has resorted to raising debt to meet its growth requirements as the debt has increased from ₹191 cr in FY2008 to ₹722 cr in FY2017. 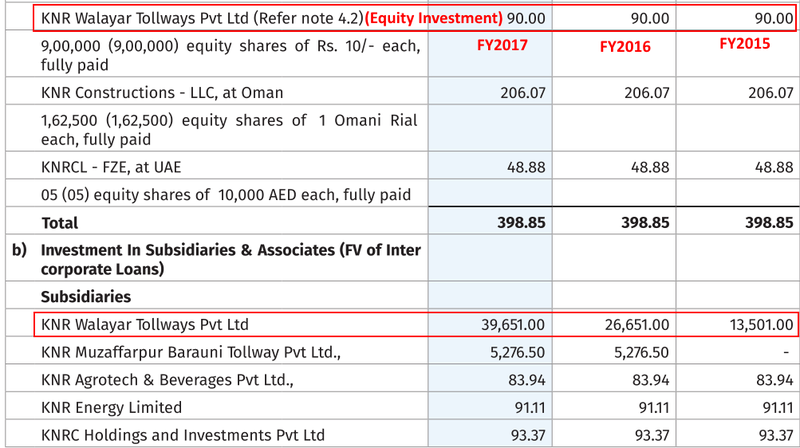 While analysing the free cash flow (FCF) position of the company, an investor notices that over FY2008-17, KNR Constructions Ltd generated a total cash flow from operations (CFO) of ₹1,261 cr and it did a capex of ₹1,565 cr over the years to grow its revenues from ₹551 cr in FY2008 to ₹1,680 cr in FY2017. However, as mentioned above, the company had a sustained high level of debt during the last decade and as a result, it had an interest expense of ₹249 cr over FY2008-17. Therefore, post the capital expenditure and the interest payment, the company had a cash deficit of ₹553 cr (1261 – 1565 – 249). Moreover, the company has paid out dividends over these years and has also made investments in various JV projects. The company has met the cash shortfall by raising debt from different lenders and promoters and as a result, the total debt of the company has increased from ₹191 cr in FY2008 to ₹722 cr in FY2017. An investor would notice that in case of companies having negative free cash flow (FCF) where entire CFO is used to meet the capital expenditure, the dividends are usually funded by raising debt. We believe that investors should not take any comfort from the dividend payouts of such companies as the dividend declarations might represent merely the act of transferring money from lenders to equity shareholders. Free cash flow (FCF) and SSGR are the main pillars of assessing the margin of safety in the business model of any company. 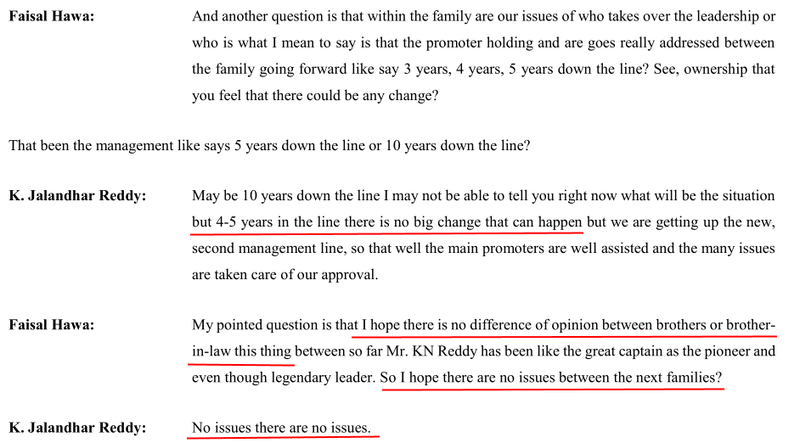 KNR Constructions Ltd was set up in 1995 by Mr. K. N. Reddy. Currently, Mr. K. N. Reddy is about 70 years of age and his son Mr. K. Jalandhar Reddy who is about 48 years of age has started playing an active role in the management and leadership of the company. 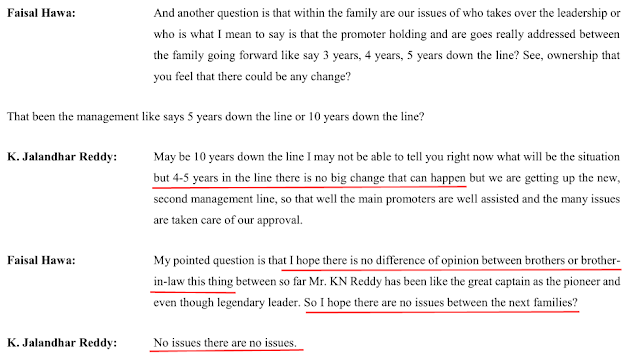 Going ahead, investors may need to keep monitoring the developments on the front of promoter family members. As mentioned above, it seems that KNR Constructions Ltd has been able to show good project execution skills, as it has been able to complete a lot of projects ahead of their scheduled completion period. If an investor analyses the trend in promoters’ shareholding over past few years, then she would realize that the promoters have been continuously selling shares of the company and have significantly reduced their shareholding from 74% at March 31, 2014, to 55.38% at March 31, 2018. 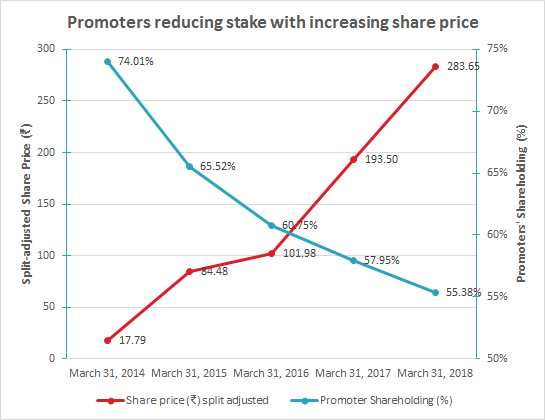 A simultaneous look at the reduction in the promoters’ shareholding along with the movement of the share price over past few years might lead to the conclusion that the promoters are cashing out their stake as the share price of the company is increasing. As detailed below, it might be that the promoters prefer to give the money raised by the sale of their shares as loans to the company and earn interest on it. It might be akin to a situation where a promoter prefers to have debt exposure on her company rather than equity exposure. It is advised that investors should keep a close watch on the change in promoters’ shareholding going ahead. At March 31, 2017, promoters have provided loans of about ₹121 cr to the company out of which the founder promoter Mr. K.N. 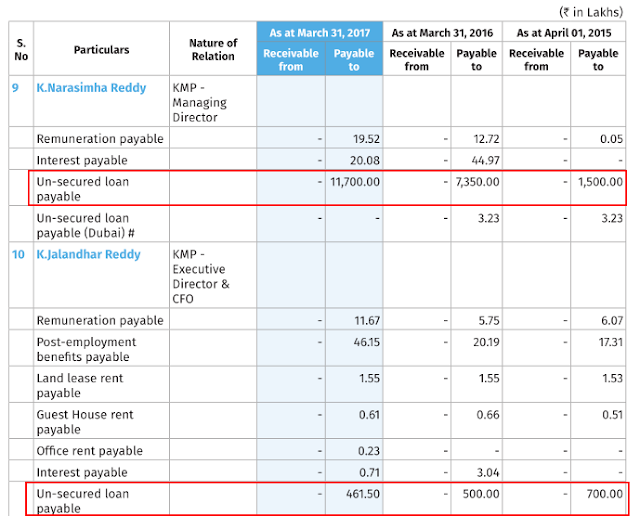 Reddy has provided loans of ₹117 cr. During FY2017, the promoters’ loans have increased by about ₹40 cr. Such reasoning of the promoters helping the company to repay the debt by putting in money from their personal pockets does not corroborate with the high credit rating of A+ being enjoyed by the company from credit rating agency CRISIL. Investors should also note that in the past few years CRISIL has upgraded the credit rating of the company twice to reflect the strong financial position of the company. As per December 2017 credit rating rationale of CRISIL, it first upgraded the rating of the company from A- to A in 2016 and then further upgraded the rating from A to A+ in 2017. Therefore, at one end it seems that the credit strength of the company is improving as reflected by upgrades in the credit rating and on the other hand, the company has to rely on promoters’ money to pay off the debt of its subsidiaries. These contrasting signs raise questions and investors should think further about it. A) The first interpretation may be that the credit rating assigned by the rating agencies does not reflect the true financial position of the company. As a result, the company may not be in a fundamentally sound position, which is represented by a credit rating of A+. B) The second interpretation may be that the company is fundamentally sound and the promoters are using the company as an avenue to get the interest rate on their money, which is more than the interest rate available to them from outside sources like fixed deposits of banks. Using the above-shared data of the interest payment and the loans outstanding from promoters, an investor may calculate the interest rate being paid by the company to the promoters for their loans. An investor may calculate that the interest rate is about 10.3% for the loans provided by Mr. K. Narasimha Reddy and 9.7% on the loans provided by Mr. K. Jalandhar Reddy. 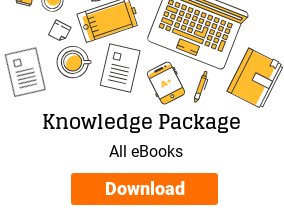 Therefore, the loans from promoters to the company might be an attempt to get a higher interest rate on their funds than the interest rate provided by banks on the fixed deposits as the promoters are getting an interest rate of about 10% from the company whereas the banks may provide an interest of 6-7% on the fixed deposits. may reflect an attempt by the promoters to benefit from the company by obtaining a higher interest rate on their money than the interest rates provided by the banks on fixed deposits. Moreover, an investor would note from the discussion on the free cash flow position of the company above that KNR Constructions Ltd has negative free cash flows where its investment requirements are higher than its cash-generating abilities. As a result, the company has been meeting its cash flow needs by raising loans. Such a situation indicates that the dividends paid by the company to its equity shareholders are also funded by debt. 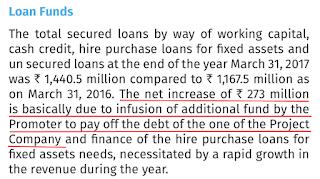 Extending this argument, an investor would also appreciate that major source of funds for promoters is the dividend from the company, which in the case of KNR Constructions Ltd seems to be funded by debt. Therefore, this situation may be akin to a vicious cycle where the company is raising loans to pay dividends to the promoters and then the promoters are giving the same funds that they received from the company, back to the company and are earning higher interest rates on it. Moreover, as discussed above, as the promoters are continuously selling their shares over last few years while the share price of the company is increasing. Therefore, these loans may be partly funded by the proceeds of the sale of promoters’ stake in the company, which indicates that the promoters might prefer to put their money as debt in the company in place of equity shares. We would suggest that the investors should arrive at their own conclusion regarding it by doing their analysis. This is a situation similar to the position of promoter loans in another company Bharat Rasayan Ltd. Investors may read the following article to read the analysis of Bharat Rasayan Ltd.
Additionally, the investors may also seek clarifications from the company about a property owned by the promoters, which is rented by the company. It becomes significant to ascertain whether the promoters are exclusively using the guesthouse for their personal use because it might be akin to using company resources for personal benefits. Investors may seek clarification from the company about the nature of these non-permitted dealings in the demonetized currency notes. 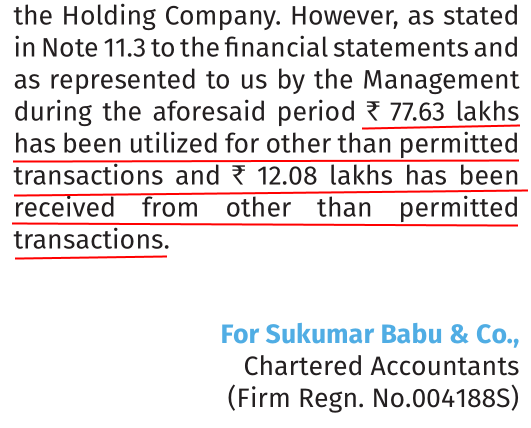 While analysing the mutual fund investments made by KNR Constructions Ltd, an investor notices that the company has invested funds in SBI Equity Opportunities Fund – Series I, which is a closed-ended mutual fund indicating that the company will not be able to get its money back when it needs until the fund period gets over. An investor would appreciate that investing money in mutual funds, which lock the money for a certain period might not be the best option for a company, which has to rely on loans from promoters to repay the debt of its subsidiaries. Any surplus money should be invested in such assets, which may be liquidated as and when the company needs money. 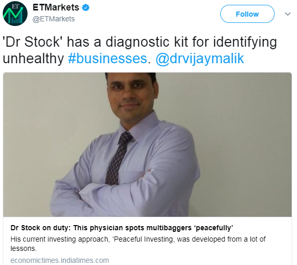 Moreover, the investor would also notice that the company has invested money in equity mutual funds like SBI Infrastructure Fund, SBI PSU Fund and SBI Equity Opportunities Fund, which invest money in equities. It is usually advised that companies should focus on taking the risk of their core business operations and not take unrelated risks like investment in the stock markets. 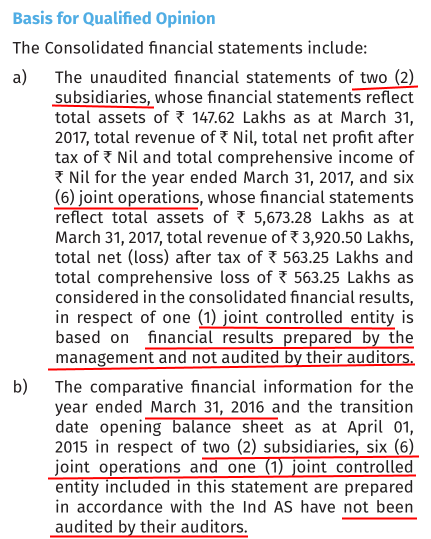 As per the qualified opinion put in by the auditor in the FY2017 annual report of KNR Constructions Ltd, the company does not get the financial results of two subsidiaries, six joint operations and one joint controlled entity audited from their respective auditors. 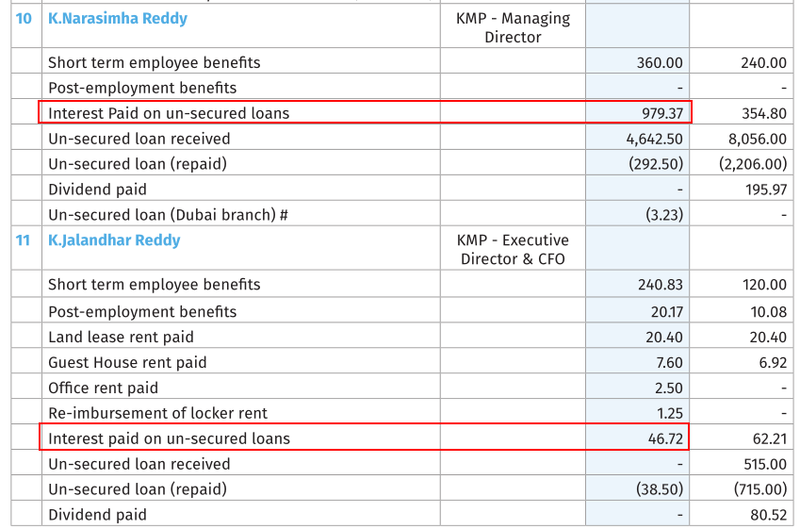 Instead, the management has prepared their financials and without any check by any auditor, these management prepared financials have been included in the consolidated financials of KNR Constructions Ltd. It is advised that investors may seek clarification from the company about the reasons for non-audit of these entities. Moreover, the investors should also ask whether any auditor has ever audited the financial results of these entities. The company has disclosed that in FY2017 KABPL has profits that are higher than the turnover. The most probable reason for profits being higher than the turnover might be the non-operating income of the subsidiary, which can be due to surplus funds lying with the subsidiary. Investors would appreciate that any company should call back the surplus funds from its subsidiary companies before taking loans from outside parties like promoters. Investors may contact the company to know if the subsidiary KABPL has surplus funds available with it. Additionally, what are company’s plans for utilization of these surplus funds, if any? Advised reading: How should investors contact Companies/Management for clarifications or additional information? The business of KNR Constructions Ltd is highly dependent on the tenders/projects being floated by central and state governments and various other departments. Any decline in the tender activity due to any issue related to elections, political uncertainties will have a direct impact on the revenues of the company. In the current financial year, despite the seemingly strong focus of the current central govt. on roads and infrastructure projects, as per the company, the tender allocation activity was low, which affected the entire sector. Moreover, the business of the company involves a lot of land acquisition activity, which is a highly politically sensitive matter. There is a high possibility of projects being delayed due to land acquisition issues. In addition, the majority of the customers of the company are govt. entities, therefore, the company needs to deal with govt. departments to get its payments released in order to fund its operations. It seems that the company has faced multiple periods where the receivables of the company were stuck with counterparties, where the company also resorted to delay the payments to its vendors and other counterparties to increase the payables. The cash flow statement of the company for FY2016 and FY2017 indicates a situation where a significant amount of money was stuck in the trade and other receivables, where the company resorted to delaying the payables in order to protect its liquidity. All these aspects of the company’s business make it highly vulnerable to the vagaries of the political environment. Currently (May 8, 2018), KNR Constructions Ltd is available at a price to earnings (P/E) ratio of about 18.5, which does not offer any margin of safety in the purchase price as described by Benjamin Graham in his book The Intelligent Investor. Overall, KNR Constructions Ltd seems to be a company, which has been growing at a moderate pace of 10-12% over the last decade while reporting stable operating profit margins in the profit and loss statement. However, upon deeper analysis, it seems that the reported profitability of the company in the P&L may not represent the complete profitability of the business of the company, which is spread across various different entities like joint ventures/subsidiaries etc. There have been instances where the parent company has to infuse funds in the subsidiary having a full year of operations of a toll road, in order to help it sustain its expenses and debt repayments. 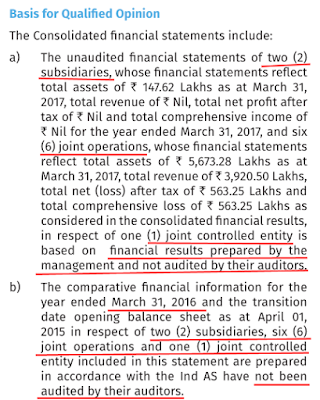 Similarly, the company had to resort two of its operational BOT annuity joint ventures at a loss and make provisions for impairment in the FY2017 annual report. Therefore, we believe that the nature of structuring of the business in various entities along with the accounting method of percentage of completion method (POCM) makes it difficult to assess the true business position of an infrastructure/EPC player. The company seems to be growing faster than what its internal resources can sustain. It is reflected by a lower self-sustainable growth rate (SSGR) and negative free cash flow position of the company. As a result, the company has to resort to taking loans to fund it cash flow shortfalls as well as dividend payments to equity shareholders. The promoters have demonstrated very good project execution skills by way of completing a number of projects ahead of their scheduled deadlines. Moreover, the promoters seem to have a management succession plan in place where the son of the founder promoter is playing an active role in the management of the company. However, it comes to the notice of the investors that the promoters have significantly reduced their shareholding in the company over past years when the share price of the company has increased significantly. It might look like that the promoters are cashing out their gains resulting from the increase in share price of the company. The promoters have provided a significant amount of loans to the company, which seem to have been used to repay the debt raised by the subsidiaries of the company. Such instances of the loans from promoters to companies, which have a strong credit rating of A+ may put doubts on the credit strength represented by such credit ratings. Moreover, such loans may also represent opportunities by promoters to gain higher interest rates from the company than what they can get from fixed deposits from banks. 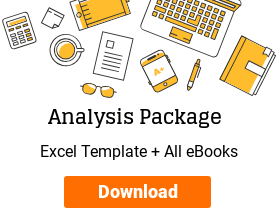 Analyzing these aspects becomes important for investors as such loans represent a situation where the company takes loans to pay dividends to equity shareholders including promoters and then the promoters plough back the same funds in the company as interest-bearing loans to meet the cash flow shortfalls of the company. Certain actions of the company require further clarifications like a large amount of money due to the customers, non-auditing of the financials of some of the entities that are included in the consolidated financials and dealing in non-permitted receipts & payments in the demonetized currency notes. 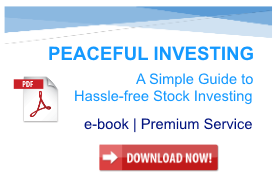 Investors may contact the company directly to know more about these aspects including the investments in the seemingly unsuitable mutual funds including equity mutual funds and closed-ended mutual funds etc. renting out the guesthouse owned by the promoters and the land parcel taken on lease by the company from the promoters. We believe that going ahead; investors should monitor the shareholding of the promoters in the company, loans given by the promoters to the company, debt levels of the company, and signs of receivables being stuck with the customers as well as the dues to the customers. Investors may request the company to disclose consolidated financial results each quarter as the consolidated results would help the investors understand the business position of the company in a better manner than the standalone financials. These are our views about KNR Constructions Ltd. However, investors should do their own analysis before taking any investment related decision about the company. 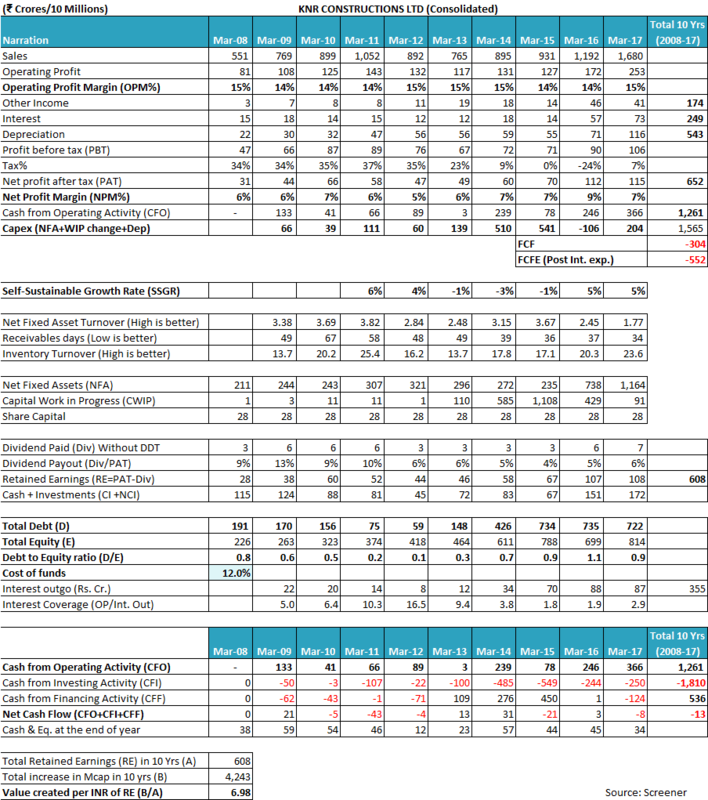 We have used the financial data provided by screener.in and the annual reports of the companies mentioned above while conducting analysis for this article. We have not verified the sources of the data provided by the reader in his/her query. In case, anyone observes that the reader has copied/used plagiarized content, then we would request you to highlight it to us and we would be happy to take down that content from the article.